Ricardo Bochini is a legend in South America, yet his name would mean very little to most European football fans. ‘El Bocha’, as he is commonly referred to, is a curious figure of footballing history. Beautifully expressive on the pitch yet intensely shy off it, Bochini was described by the columnist Hugo Ansch as “a midget, ungainly, imperturbable, without a powerful shot, nor header, nor charisma,” all of these things make Bochini the most unlikely of idol’s for Diego Maradona, who was one of the most graceful and charismatic figures the game has ever seen, as well as packing a venomous shot. Bochini was, however, a player of outstanding technical ability and understanding of the game, epitomised by his ability to pull off the technique the Argentines call ‘la pausa’, which Bochini was considered a master of. Born in Zarate, 60 miles north of the wellspring of footballing talent that is Buenos Aires, Bochini found himself on the periphery of Argentina’s footballing hub. This meant a route into the game wasn’t as simple for Bochini as it was for the kids who grew up in Buenos Aires itself. He began playing for his local team Belgrano as a youngster and had already caught the eye of local side Villa Dalmine in his early teens, but remained at Belgrano. His father took him to Buenos Aires for a number of trials at the countries biggest clubs. His technical ability was obvious, but many clubs were weary due to his lack of pace, power and size. San Lorenzo de Almagro and Boca Juniors both turned down Bochini before he had a successful trial at Independiente, impressing sufficiently to earn himself a youth contract in 1971, aged 17. It was a strong Independiente side that Bochini had joined, with almost their entire starting XI having been capped by Argentina at full international level. Despite this, Bochini did enough to convince the clubs coach and former Argentina captain, Pedro Dellacha, that he merited a place in the first team squad after just a year at the club. He made his first team debut in June 1972, as an 18-year-old, when he came on as a second half substitute against River Plate. It was a tough introduction, and Bochini’s game time was limited in his first full season, but Independiente had already won the 1972 Copa Libertadores, and Bochini’s time was to come. By the time the 1973 season arrived, Bochini had established himself as a rising star, and had become a regular starter for the South American champions. Key to Bochini’s place in the team was his relationship with the club’s right winger, Daniel Bertoni. Bertoni is better known to European fans as a result of his move to Europe in the late 1970’s, where he went on to play for Sevilla, Fiorentina, Napoli and Udinese. Between them, Bertoni and Bochini played some wonderful football, and together they guided Independiente to retain the Copa Libertadores title in 1973, and go one better than the previous year by winning the Intercontinental Cup against Juventus, their first success in the competition. The game announced Bochini as a talent worthy of note, and was still regarded by many as one of his finest performances when he hung up his boots 18 years later. In a game which Juventus dominated, Bochini was the shining star for the Argentine side at 19 years of age. Independiente goalkeeper Miguel Angel Santoro made a series of marvellous saves, as Juventus hit the post and blazed a penalty over the crossbar before Bochini decided the game. It was his combination play with Daniel Bertoni which proved deadly once more, against the European runners-up. Bertoni picked the ball up on the half way line, passing to Bochini who spun, beat Claudio Gentile, played a one-two with Bertoni and delicately lobbed the ball over the head of Italy goalkeeper Dino Zoff. Independiente continued their success throughout the 1970’s and 80’s, winning the Copa Libertadores in 1974 and 1975, to make it four consecutive victories in the competition, no other team has matched that feat, before or since, not even the great Santos team of the 1960’s. In 1974, Bochini scored his only career hat-trick against Independiente’s great rivals Racing Club. Not a prolific goal scorer – he averaged roughly a goal every six games – Bochini was one of Argentina’s finest ever providers. A revered playmaker who was respected and feared throughout Argentine football, he was a master of ‘la pausa’, the Argentine word for when a player just delays a pass, anticipating that his intended target will soon be better placed to receive the pass. More recently, Juan Roman Riquelme has been the finest exponent of such a technique, and its most notable use was by Pele in the 1970 World Cup final as he teed up Carlos Alberto. 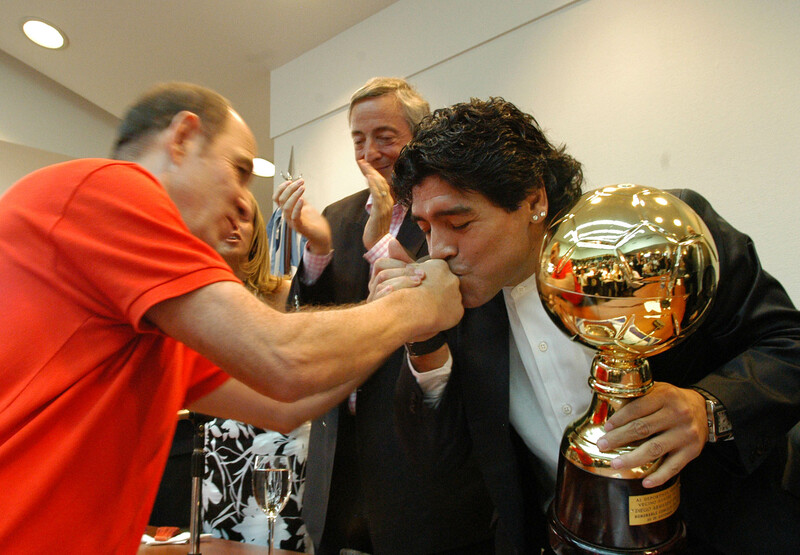 The high regard with which Maradona held Bochini was not unusual for an Argentine. He is still regarded by many as Independiente’s greatest ever player. He was a maverick, like El Diego. With his mad professor hair, Bambi on ice legs and aged appearance even as a youngster, Bochini was not your typical footballer. 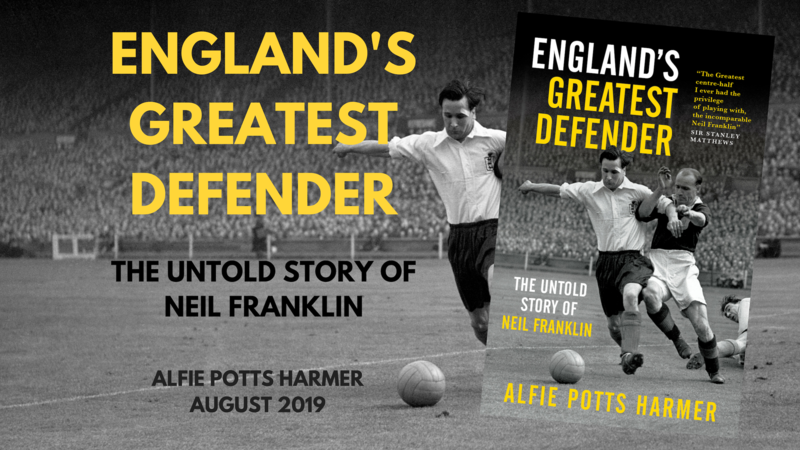 An Englishman who watched him play once described him as an “Excellent midfielder who spread the ball”, but “looked like Max Wall.” As well as his appearance, Bochini didn’t even have the footballing attributes which typically give birth to a star. He was weak, not particularly fast and was incapable of hitting a ball with power. Out of this most peculiar of characters came a genius though. In his autobiography, Maradona commented that, “Watching him play drove me crazy with delight”. Bochini never made a move to Europe, and having played only 5 minutes of World Cup football, those outside of South America are unsurprisingly ignorant to the genius of ‘El Bocha’. Fans of Juventus and Liverpool may have seen him play, if they watched the Intercontinental Cup final, in which Bochini and Independiente emerged victorious on both occasions. In total, Bochini spent 19 years at Independiente, playing 740 games for the club, the seventh most of any player for a single club in history. 68 more than Ryan Giggs played for Manchester United, 93 more than Paolo Maldini played for A.C. Milan and 236 more than Tony Adams played for Arsenal. He won the Argentine Primera Division four times, the Copa Libertadores four times, the Copa Interamaricana twice, the Intercontinental Cup twice and the World Cup once, although his involvement in the last success was rather less significant. In 1983, he beat the likes of Diego Maradona, Mario Kempes and Daniel Passarella to be named the Argentine Footballer of the Year. Bochini retired in 1991. He briefly managed Independiente, and now works in an ambassadorial role for the club. There is a street outside the club’s stadium named in his honour and the term ‘pass bochinesco’, meaning ‘Bochinesque pass’ is still in common parlance in Argentina, and simply refers to any pass which puts a player through on goal, one-on-one with the goalkeeper. He is widely regarded as Independiente’s greatest ever player, and it remains a great honour for any player to be bestowed with Bochini’s number 10 shirt. Those that followed him include Angel Morales, Daniel Montenegro and Sergio Aguero, but none have endeared themselves to the El Rojo faithful as Bochini did, and one suspects no-one ever will.